Thank you for the kind words and the good review, Drew. They are much appreciated. I wanted to address one point you raised, as it's not only a fair criticism, it points out a giant problem in researching this campaign. The fact is that it was impossible to track the specifics of the Confederate movements because Confederate accounts of this battle are very few and very far between. 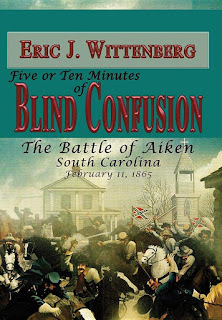 There are no known official after-action reports by Wheeler's poorly disciplined command, and few letters or memoirs, unlike Monroe's Crossroads, which was a proud moment for the Confederate cavalry. Rather than engage in guesswork--and that's what it would have been--I elected to handle matters as I did. I'd much rather rely on what we knew than to engage in guesswork. But it is definitely a significant problem, and I suspect is probably why there's never been a detailed tactical narrative prior to this. Again, I appreciate the kind words and am pleased to know that you enjoyed it. Thanks for the response/comment, Eric. I figured that was the case, as most authors who've written about the 1865 campaigns have had a similar experience with having to work around an exceptional scarcity of Confederate accounts covering events from the final months of the war. It really is a problem, Drew. As an initial comment, there is not a lot of good material available on Wheeler's command in general. His men were nowhere near as good about documenting their service as Jeb Stuart's were, for whatever reason. So, with that as a basic operating assumption, we then move on to the fact that good Confederate sources on the Carolinas Campaign are few and far between, and you quickly discover that trying to do in-depth research on anything Confederate-related during that campaign is a real challenge. Big time. 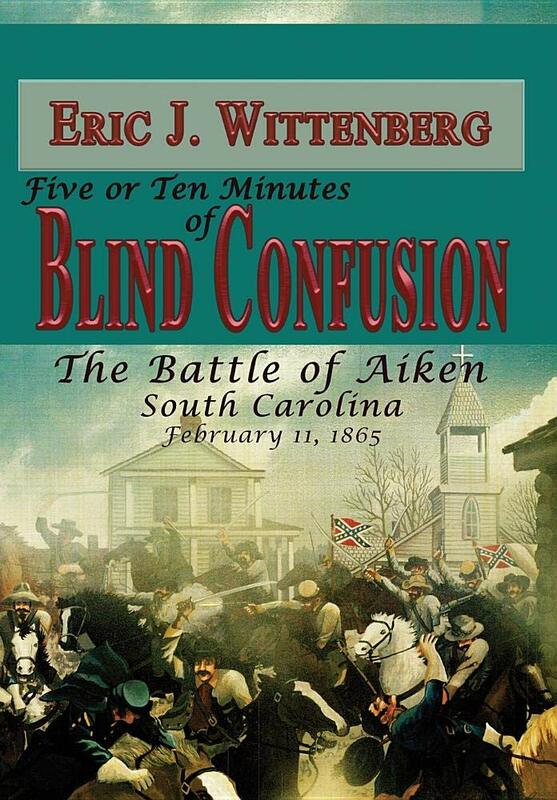 I started looking for stuff on Aiken when I got interested in it while researching Monroe's Crossroads, and I spent a number of years looking for stuff. What I found is cited in the book and listed in the bibliography. The fact is that there simply isn't much out there. As a researcher who likes to dig deep, it's particularly frustrating, but the fact is that there simply isn't much that can be done about it. Drew: Thanks for this (as always) insightful review. Unsurprisingly, it appears that Eric has produced another mandatory purchase. As a consumer I also appreciate the honesty of an author who acknowledges that his analysis may be impacted by source limitations. We know that if Eric couldn't locate something, it probably isn't accessible anywhere. I suspect that as the CSA rapidly imploded in early '65 and ad hoc commands were assembled, record-keeping was a very low priority - if a priority at all.